10 marathons in 10 days completed! 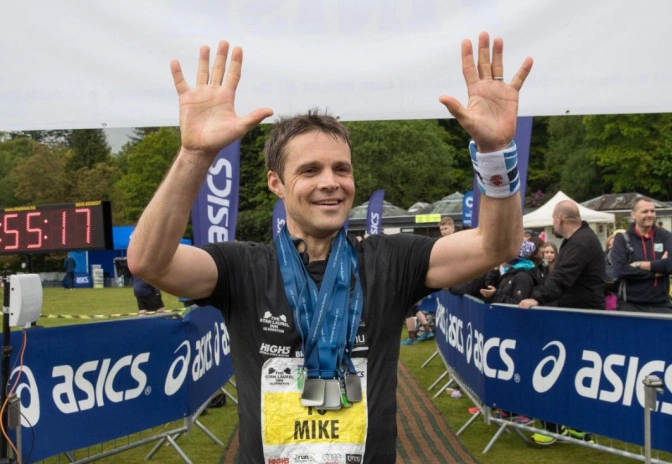 Remember when we told you about the amazing challenge Mike Sprot set himself to thank the Sheffield medics and nursing staff who cared for his wife Emma? Well, last week was the week he put on his trainers and began his journey to tackle 262 miles in just 10 days. These 262 miles would be run for his wonderful wife Emma who spent a month in critical care following four brain operations, including a craniotomy, to completely remove the cyst back in 2015. 262 miles? Most of us can’t even get our heads around running 1 mile, let alone 262 of them! But Mike took his challenge day by day and with every step edged his way closer to conquering 10 marathons in 10 day. On Sunday he crossed the finish line and completed his 10th marathon, or ‘lap of honour’. As if this isn’t remarkable enough he has also raised a whopping amount for charity – £11,335. You are inspiring and the strength shown to complete this challenge is unimaginable. Thank you so much for completing this for Neurocare.